This large, heavy-duty mailbox comes fully assembled with a steel latch and aluminum flag. It has a smooth black rust resistant finish. Post Sold Separately. The Economic mounting board for post mount mailbox by PRO-DF is made of impact resistant moulded plastic. Perfect to install a post mount mailbox on a 4 inches by 4 inches post. Mounting hardware included. 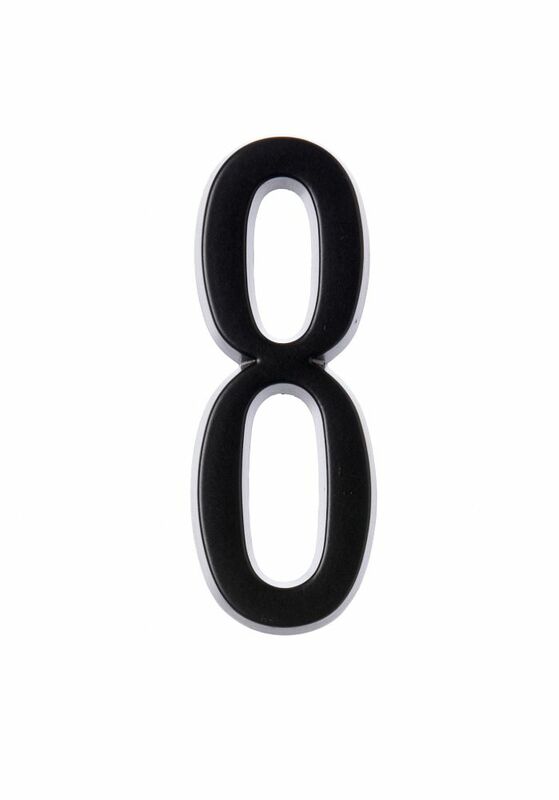 4 Inch Stick-On Black House Number 8 Accent your house with the Hillman Distinctions line of house numbers.